Teen pop-sensation Justin Bieber has been honoured with a special day called the Justin Bieber Appreciation Day. The 18-year-old attended a record signing tuesday at an electronics store in Manhattan where he was visited by the Manhattan Borough President Scott M Stringer. The borough official handed the pop star a framed certificate to mark the special day. 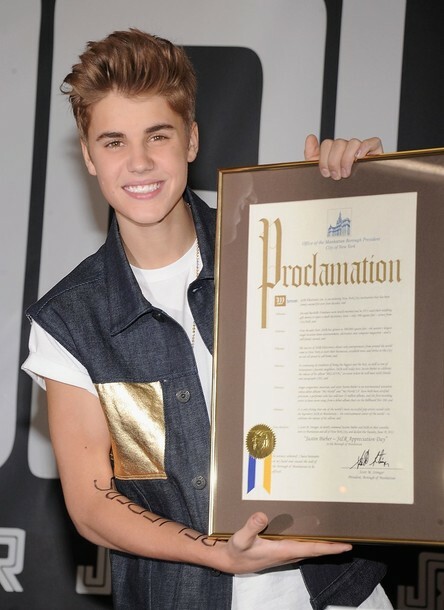 “This proclamation is on behalf of the 1.6 million people who live in Manhattan, and it’s very exciting to have Bieber here with us. I don’t give proclamation unless I believe,” said Stringer. It will be celebrated in New York ,June 19 every year.